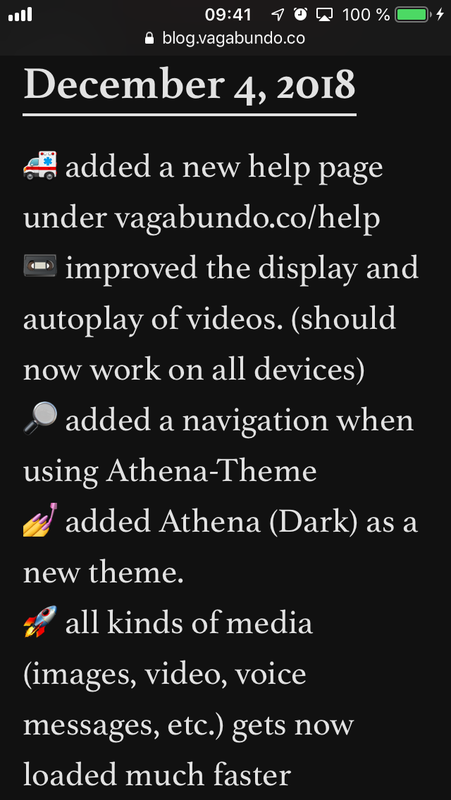 Vagabundo.co is an intentionally simple Blogging-Platform with beautiful templates aimed at backpackers. Create a custom blog without ever leaving our beloved Telegram. The idea was to create the simplest blogging-platform for backpackers. 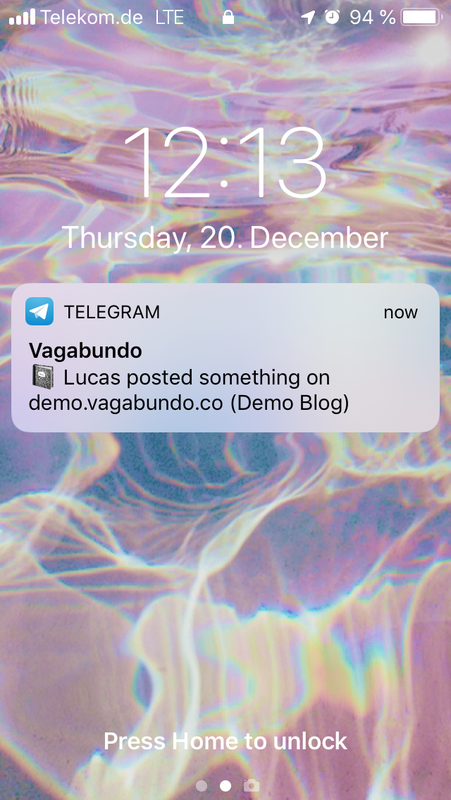 If you know how to use Telegram, you already know how to use Vagabundo. Everything you send to @vagabundo_bot automatically gets posted on your blog. You can even use channels or group chats to collaborate. 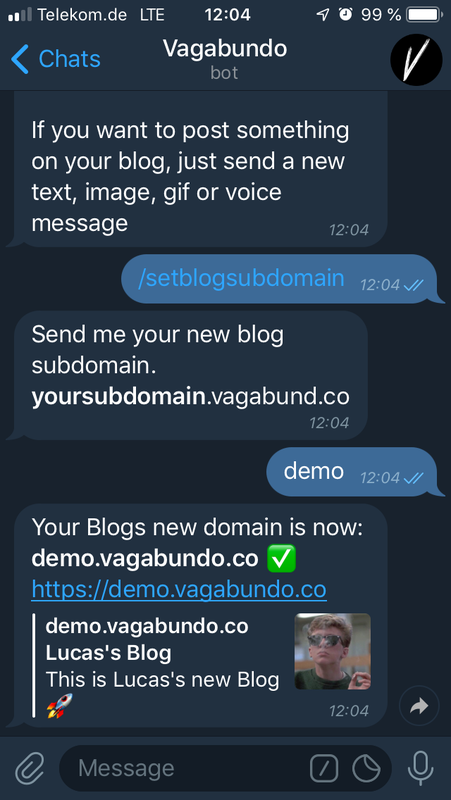 with Vagabundo it is super easy to choose your own subdomain and customize your blog. you can choose between 6+ different themes and can define things like your blog picture and an bio. Vagabundo strongly believes that your data belongs only to you. 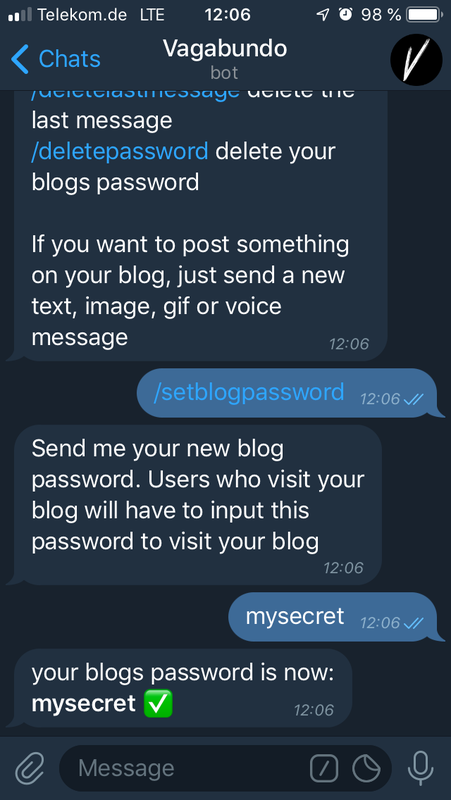 So if you want to make a private blog and only give a few people access to it you can do so by giving your blog a password. Also you can delete any post at any time. Vagabundo will alert your followers if you posted something new. 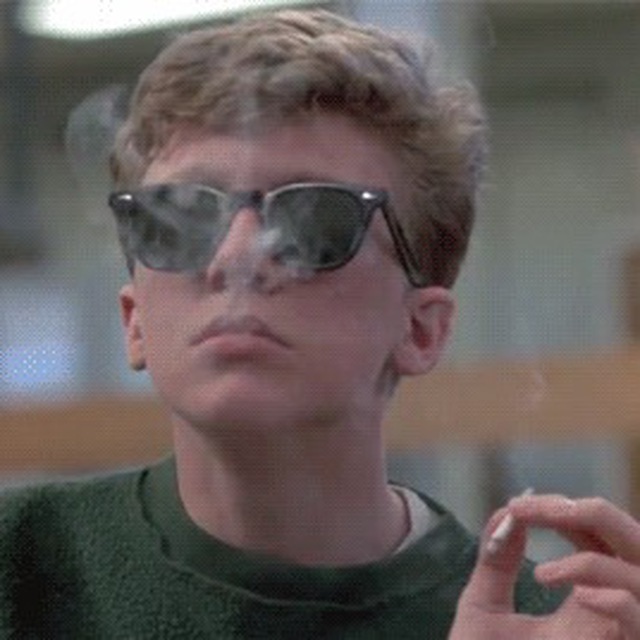 Of course you also can follow other blogs, too. The whole project was built by Lucas Fischer. (@officialfischer) A Solo Maker from Europe. Not by a big evil corp that will sell your data.